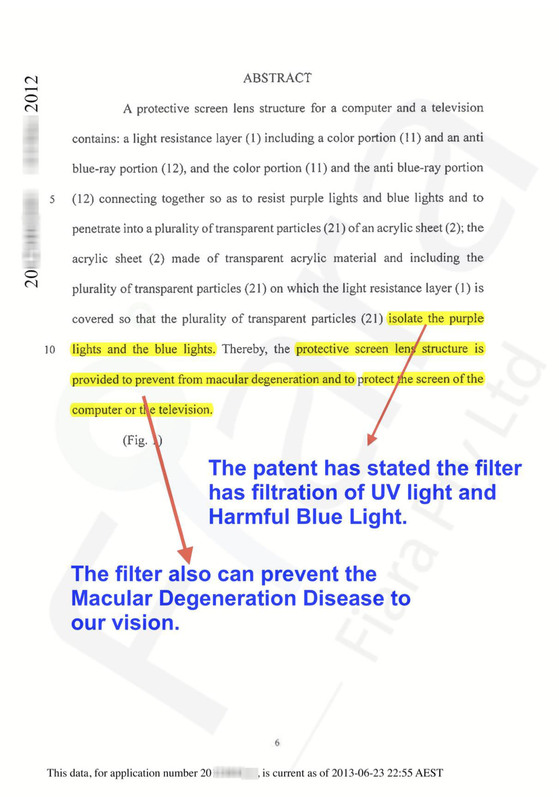 The patent states that the screen filters out UV light and harmful blue light. The screen can also help to prevent macular degeneration, which is a leading cause of vision loss. 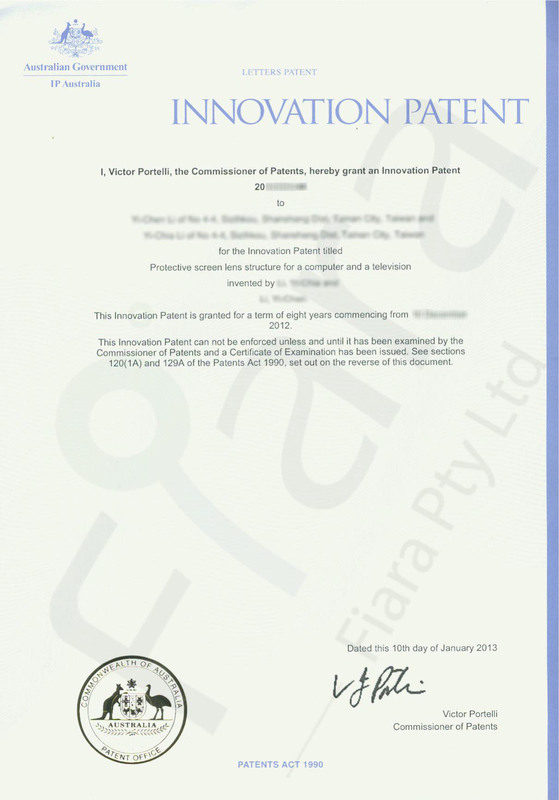 The product was patented in December 2012 by Innovation Patent Australia. 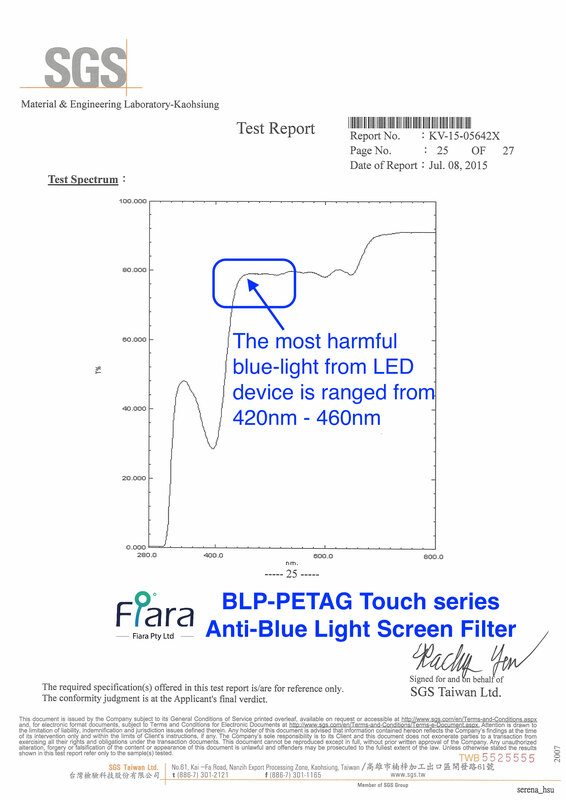 Our PL-BLU Anti-Blue Light Screen Filter has been tested by an Independent Testing Authority accredited by the National Association of Testing Authorities, Australia, and by SGS Taiwan. 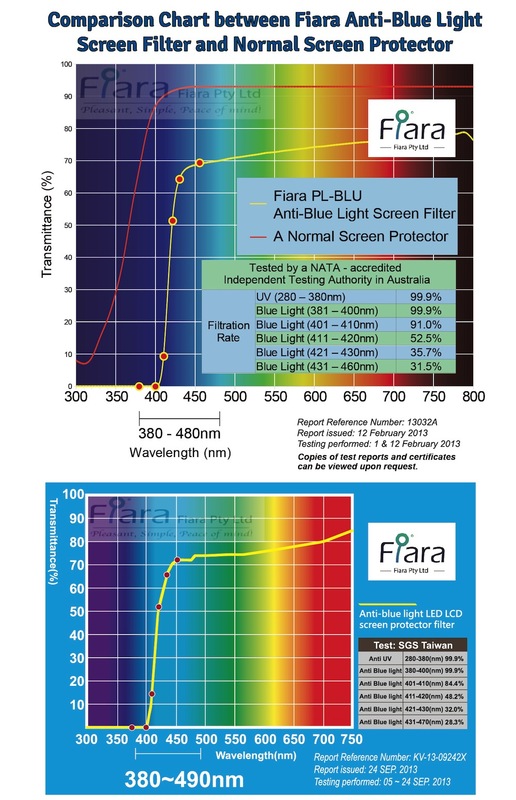 It has been proven to prevent the majority of harmful blue light from being transmitted through it. Copies of full test reports and certificates can be viewed upon request. The product is RoHS compliant, which ensures that it is perfectly safe to handle and causes no health or environmental concerns. 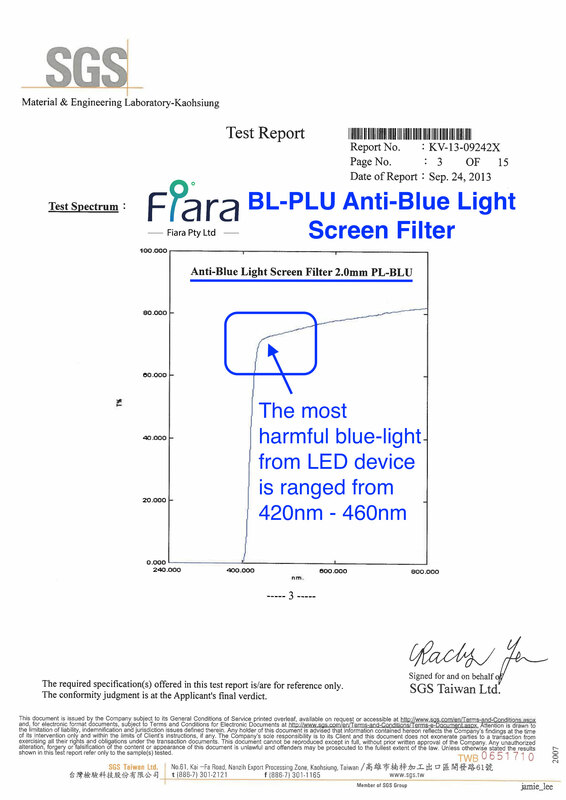 The most harmful blue light emitted by LCD/LED devices ranges from 420nm ~ 460nm, at peak point 450nm/460nm (±10nm) and this is the range that has the most dramatic impact on our vision health. * Copies of full test reports and certificates can be viewed upon request.